Hockey player Marissa Brandt and freestyle skier Jackie Kling were both adopted from South Korea to the U.S. at a young age. Marissa Brandt has lived on and off in South Korea for the past three years, but speaking and understanding Korean still trips her up. Still, Brandt has become a part of Korean history. The Olympian competed in ice hockey at the 2018 PyeongChang Winter Olympics for the first Unified Korean women’s team ever fielded and had an assist on that team’s only Olympic goal, according to Reuters. It takes two people to tango. So if they’re not willing to reach out or meet, I respect that 100 percent because I don’t know where they are in their lives today. Now that the Winter Games are over, Brandt, who was adopted as a baby and raised in Minnesota and gained South Korean citizenship in 2016 to compete for the national team, is stepping up her efforts to find her biological parents, one of at least two Winter Olympians making such an effort. Following the Korean War, more than 160,000 children were adopted from South Korea, the majority of which were adopted into American homes, according to the South Korean government. Though the specifics of the role haven’t been worked out yet, Brandt said she is honored to be asked to take part and hopes to give other adoptees the confidence to search for their birth families. She added that while she has been focused on the Olympics the past several months and hadn’t fully attempted to find her birth parents, she’ll now go through that process herself. Freestyle skier Jackie Kling is also searching for her biological parents. Kling, who represented South Korea during the Games, moved to the country about two years ago to compete for the national team. Born in Jinju, South Korea, she grew up in Pennsylvania, where her adopted father taught her to ski when she was about 3. When the offer came up to compete for South Korea, she jumped at the chance. “At the time, it was the best opportunity that was given to me, so I decided yes, of course. It also gives me a chance to also possibly find my roots,” she said. 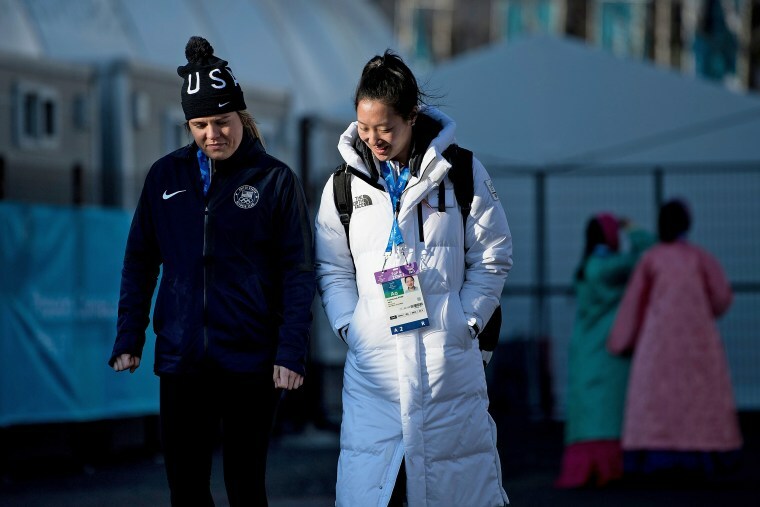 Now that the Games are over, Kling, whose Korean name is Lee Meehyun, has also stepped up her efforts to reconnect with her birth parents. She’s been on a media blitz, sharing her wishes to connect with her parents with several outlets. Kling said she intends to stay in South Korea and continue to learn the language and create a life for herself. Though she has her birth parents’ names, approximate ages, location where they lived and knows a little about their family history, she prefers to have them reach out to her at this time, she added. No one who is biologically related to her has yet been in contact with the team helping her search.